In just under 3 acres of delightful gardens and woodland, nestled in the quiet mountain village of Chamarel, a mere 15 minutes from the beautiful Le Morne Peninsula, a unique opportunity awaits the astute investor. 2 exquisite country homes and a large portion of land approved for future build, set in tranquil garden surroundings with pretty mountain views.. it’s the ideal hideaway; Luxurious & meticulous attention to detail, extremely private but still close enough to beaches and “civilisation” when you get the urge;) A perfect business opportunity (RES Certificate) or (substantial) extended family retreat, or just for those who love to entertain – this unique find ticks all those boxes and so much more..
2 Properties can be sold individually* or as a whole. 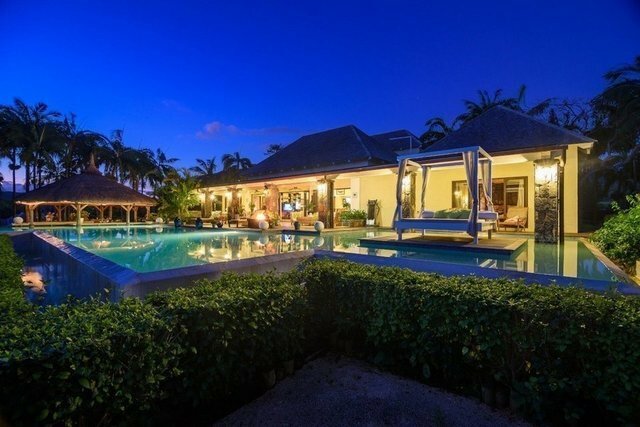 As part of the RES Investment Scheme, buyers would acquire their Mauritian Resident Status. Property 1 Land Size: 4,378M2. Main House (576M2 total build area) double story 3 bed , 3 bath (on suite) with independent 2 level guest annex (286M2) comprising of 2 bed apartments (first floor) and single bed apartment (ground Floor). Property 3* Land Size: 5,090M2. Unbuilt. This remaining portion of land will only be available for sale to the buyer looking to acquire the estate as a whole; or if sold individually, the buyer of property 1 .